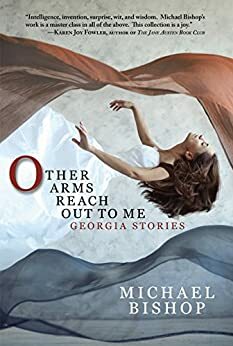 Other Arms Reach Out to Me: Georgia Stories - Kindle edition by MIchael Bishop. Literature & Fiction Kindle eBooks @ Amazon.com. "Intelligence, invention, surprise, wit, and wisdom. Michael Bishop's work is a master class in all of the above. This collection is a joy." "Strange, humane, cunning and clear-eyed, these are the short stories of a master of the form. Let me sing the praises of Michael Bishop." "It's time for the world to know what I've known for decades: Michael Bishop is our finest storyteller--bold, warm, wise, and incisively funny." --Kelly Robson, award-winning author of "Waters of Versailles"
"A writer reminiscent of O'Connor and Faulkner. I cannot remember such an engaging reading adventure in many years. This collection will surely secure Bishop's place among significant Southern writers." "You will not soon forget the stories in this book. They cleave to the heart, and stick to the soul. They reaffirm Michael Bishop's mastery of his craft." "I love these stories. They are as poignant, funny, sad, and tender as life. This is reality distilled and intensified, inventive and inevitible at the same time." In this collection, we see a collection of stories that showcase the "human" side of emotions and their effect on our psyches and will make the tears flow on many an occasion. 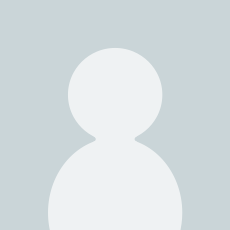 His subtle tribute to Flannery O'Connor; his understanding of autism; and, just his point of view will cause you to look inward and see the humanity that may be hidden there and allow it to surface. We all need to let our humanity out and the world might become a nicer place. Thanks Mike, only you can tear out my heart and make me enjoy it. 1.0 out of 5 starsWeird, boring, off the wall stories. Weird, quirky stories. One was somewhat touching, though the setting was odd (if reality based, it was unverifiable; if fictitious, it was gimmicky and strange). I couldn't get through the stories, and just gave the book to my niece to trade in. Waste of money, for me. Not my cup of tea. 5.0 out of 5 starsWhat an imagination! The author’s storytelling range and imagination is matched by his richly eloquent language. This was my introduction to this author, and I look forward to exploring more. Michael Bishop’s latest collection is a brilliant, decades long homage to his adopted home of Georgia. By turns moving, hilarious, provocative and darkly satirical, it is a long labor of love and a gift to the reader. My favorites included ‘Doggedly Wooing Madonna’,’ Rattlesnakes and Men’, and the title story…but I loved them all. Highly recommended. 1.0 out of 5 starsThese stories made no sense and were rather bizarre and boring. I am sorry but I didn't enjoy this book. 5.0 out of 5 starsSome pecan pie, peaches, and devastatingly unexpected pain: Georgia, observed by her son. Just because a cat has her kittens in the oven, that doesn't make them cookies. Michael Bishop is TECHNICALLY not a Georgia boy, but we don't hold that against him. His parents were just a bit dislocated when he was born, that's all, and he corrected the situation just as quickly as he was able. He currently resides in the Town Formerly Known As Chipley, and he is ours; and we are his. He knows us, in all our brilliant, goofy, flawed insanity. Some of the stories have a beginning, and a build, and a crisis point, and a revolutionary wrench at the end; other stories are just what happened last Thursday. Many of them address the means in which ordinary people adapt to extra-ordinary tragedy. These are authentic, and moving. If you are not a Georgia person, you may miss some of the subtle nuances. There is nothing subtle at all about having your guts kicked out through your back, and still be expected to carry on, and those are experiences all too many of us have had. Those stories, you will recognize. Personal reflection: When devastation comes out of nowhere, it is meaningless. For those of us who are left behind to pack up the belongings, sometimes, if we persevere, we discover meaning. Not causes; not reasons! Knowing causes and reasons is NEVER satisfying. The meaning of a tragedy is deeply personal. I believe it's found primarily in the way our lives change. Sometimes, it's making plywood cut-outs to mark a graveside. Sometimes, it's giving an old person a bath, or playing the violin stark naked. Initially, it might just be trying to move your family out of rattlesnake country; if only that were possible.